Let’s be real, ain’t nobody got time to cook these days. At least not every day. One public servant was quoted a few months ago saying that the fact that more Filipinos are dining out is a reflection of a growing economy. While he couldn’t be any more wrong with the correlation, the fact stands that the number of people preferring to eat out is booming. Nielsen’s latest “The Quest for Convenience” report released last August found out that four out of 10 Filipinos dine out on a weekly basis. This number is expected to increase as Christmas comes in with the deluge of families going out to shopping malls for last-minute gifts. These four restos in the heart of the metro make a case for dining out especially for large crowds like families and relatives with their curated menu and spacious interiors. Filipinos fall head over heels for Filipino restaurants despite the fact that it can easily be prepared at home. There’s something about our cuisine that makes us want to come back to it over and over again. Named after renowned chef Florabel Co-Yatco, this restaurant offers a wide range of Filipino and continental dishes for everyone to choose from. What’s more, there is so much room for every single member of the family with its large table setups, high ceiling, and floor-to-ceiling windows that let in natural daylight. If you and your family are looking for something a little upscale yet homey, this steakhouse is for you. 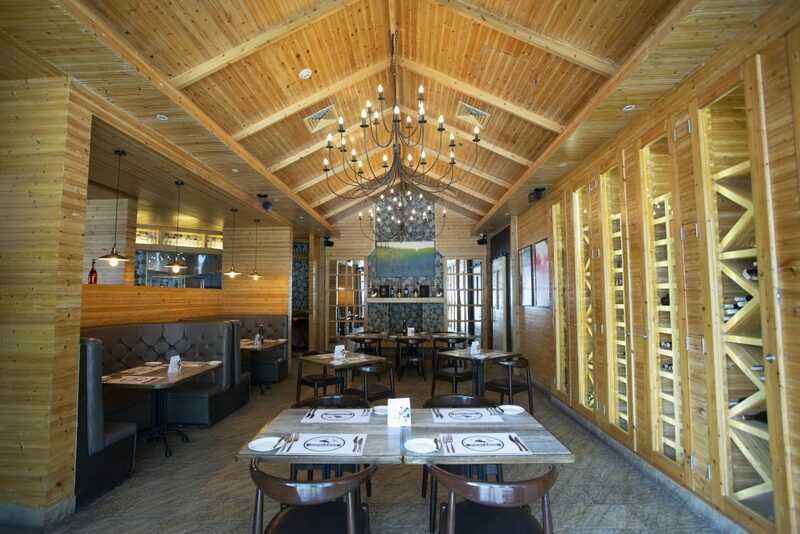 Highlands Prime Steakhouse has swapped their fantastic view of the Manila Bay at their MOA branch for a rustic warm cabin-inspired one in Ortigas. Choose from their selection of steaks from Prime US rib eye to tenderloin or their seafood offerings like their fresh oysters and whole lobster and tiger prawn Thermidor and other top-quality specialty dishes curated by chef John Kingston. 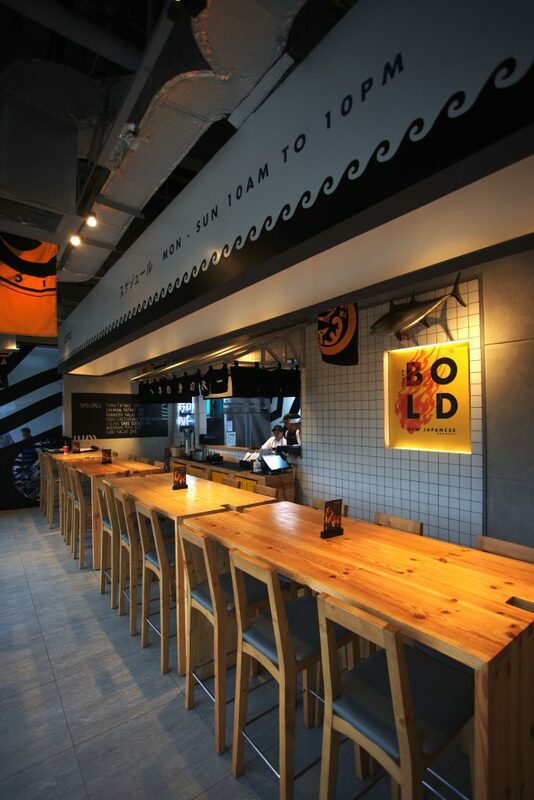 Your teenagers have probably heard about this BGC Japanese chain and have been bugging you to bring them there. Now there’s no need to drive down south to get a taste of chef Bruce Ricketts’ Japanese creations as Ooma is now open in Greenhills. Although their space is a tad cramped, it makes up for it with its strategically-positioned high tables and chairs. 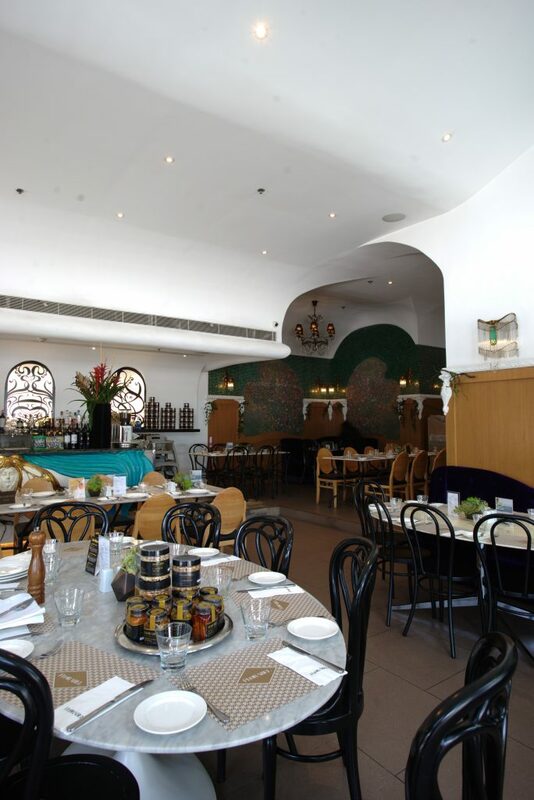 And did we mention it shares the space with Manam and it’s literally just a few steps away from your seat? No need to even exit the restaurant. Korean barbeque chains are a dime a dozen these days. Filipinos have developed a liking towards these restaurants with their charcoal grills and refillable small dishes called banchan. So what sets apart this Tiendesitas KBBQ chain? 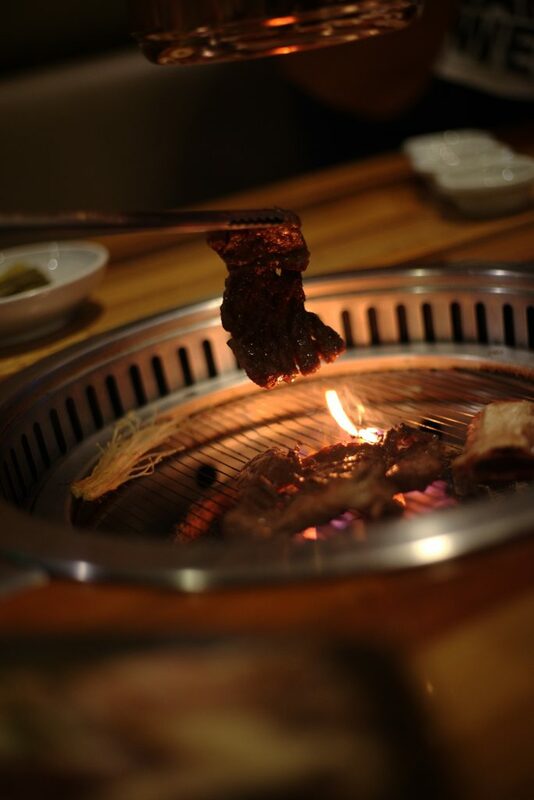 They serve only premium cuts of meat like saeng galbi (ribs), yangnyeom galbi (seasoned ribs), and buchaesal (strip loin). If your family is tired of the stiff fine dining setup, Masil with its sharing tables is a must-try. There are also all sorts of Christmas activities you and your family can enjoy at these malls this season, like visiting attractions such as the 30-foot Christmas Candy Cake at the VMall Lobby in Greenhills, the Ortigas East Christmas Street Light Musical Tunnel along Frontera Drive in Tiendesitas, or the mirror rooms at the Sweet Illusion Chambers in Estancia. Fireworks display every 7 p.m. all Saturdays of December also awaits you and your loved ones at these malls.